If you have a large family, maintaining a proper monthly or weekly budget is essential. By maintaining a budget you and your family members will avoid spending unnecessary money and will probably even be able to start a savings account. To make it easy for you, we have a wide range of Sample Household Budget Templates. These family budget templates and personal budget templates are available in a variety of formats and are easy to download and can be extremely useful and handy. 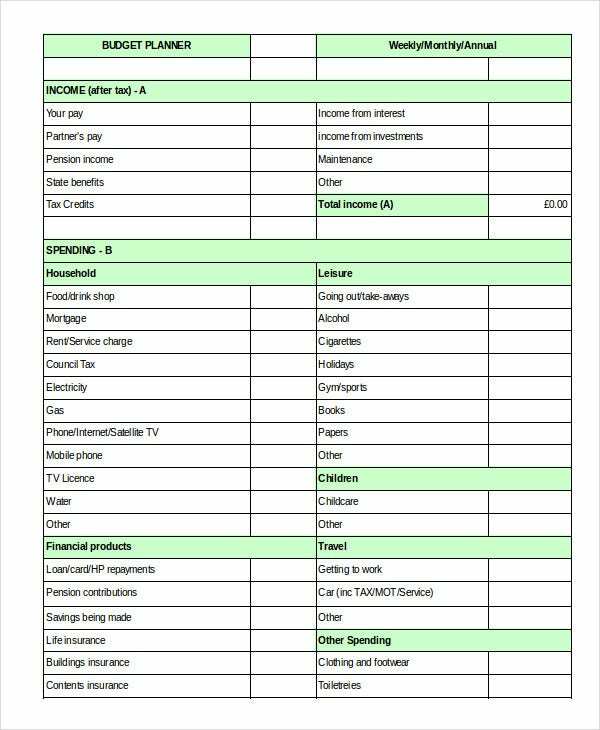 This household budget worksheet template is available in Excel format. 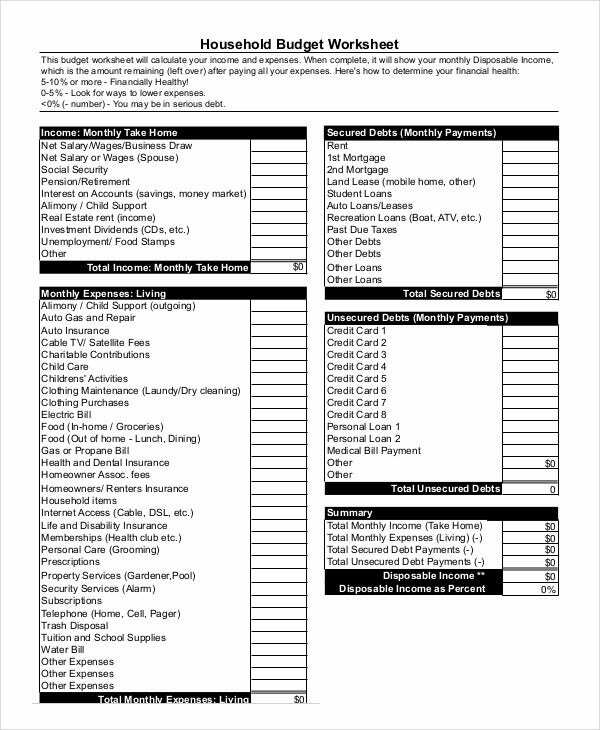 The user can fill in details of his credit card payments, pet care expenses, insurance expenses, home equity loan details, and other information on this template. The household financial budget template is available in PDF format. 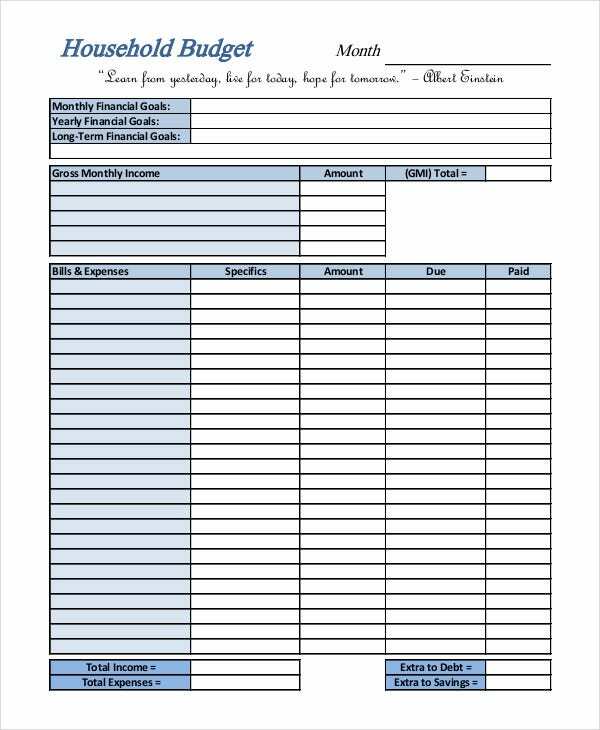 The user can fill in details of his bills and expenses, gross monthly income, and other information on this template. > What Is The Target Audience For The Sample Household Budget Templates? 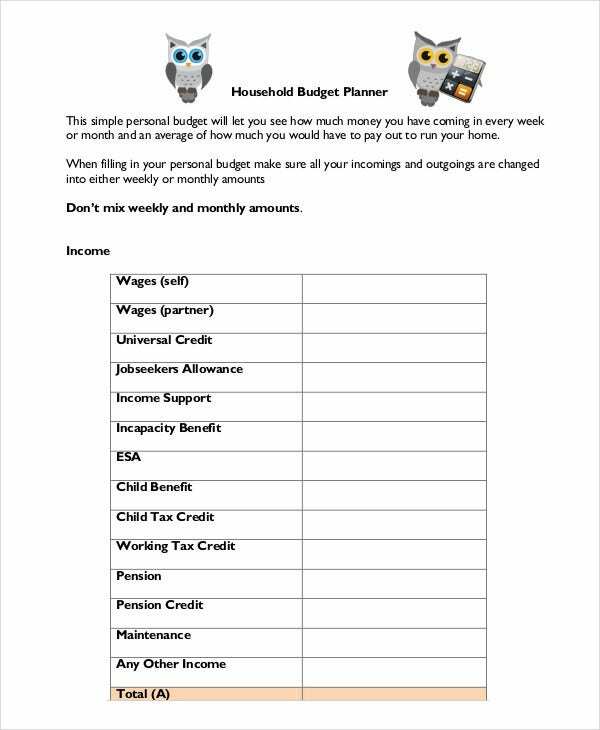 Typically, family members who wish to maintain a monthly budget will find these templates extremely useful and handy. 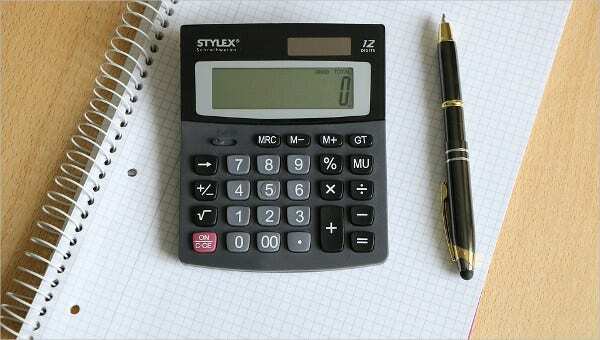 Often there are situations in large families where the monthly expenditures go out of control and in order to reduce them, it is essential for the head of the family or the main income bringers to keep a check on these expenses. 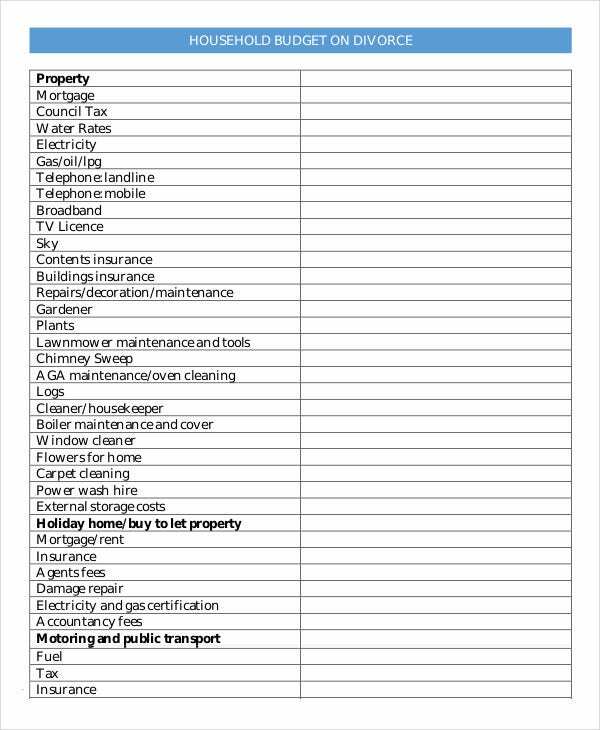 Such heads of families will find these ready to use household Budget Templates very convenient. 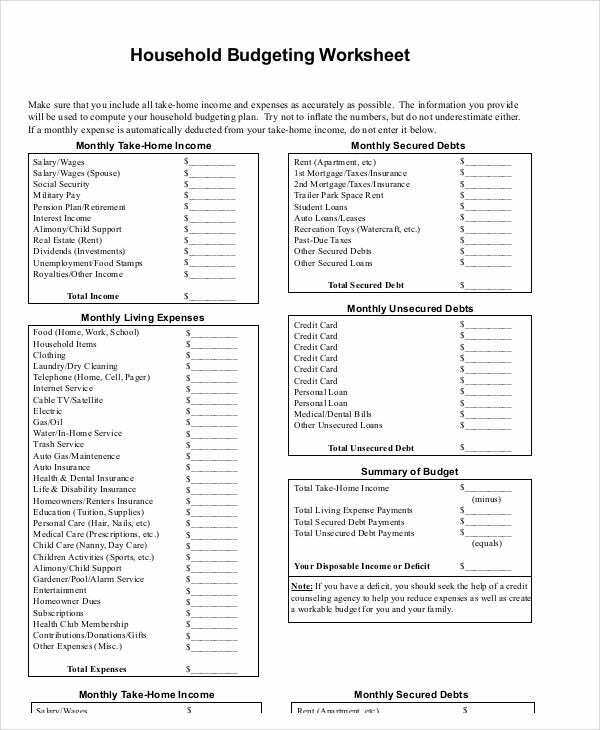 Additionally, divorced couples or couples who are in between a divorce can also use these household budget templates to keep a track of their expenses. These budgets can help the couple decide alimony payments post-divorce. 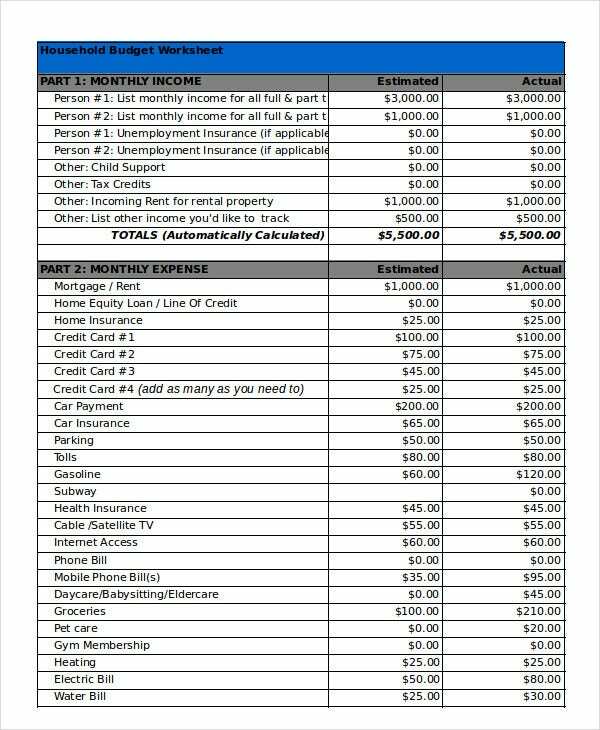 The household income budget template is a heavily detailed PDF format sheet. The user can fill in details of his monthly expenses, monthly income, secured debts, unsecured debts and other relevant information here. As the name suggests, couples that are amidst a divorce can use this template. This template is available in PDF format. The user can add details of his or her property expenses, mortgage expenses, taxes, rent details, and other information to this template. 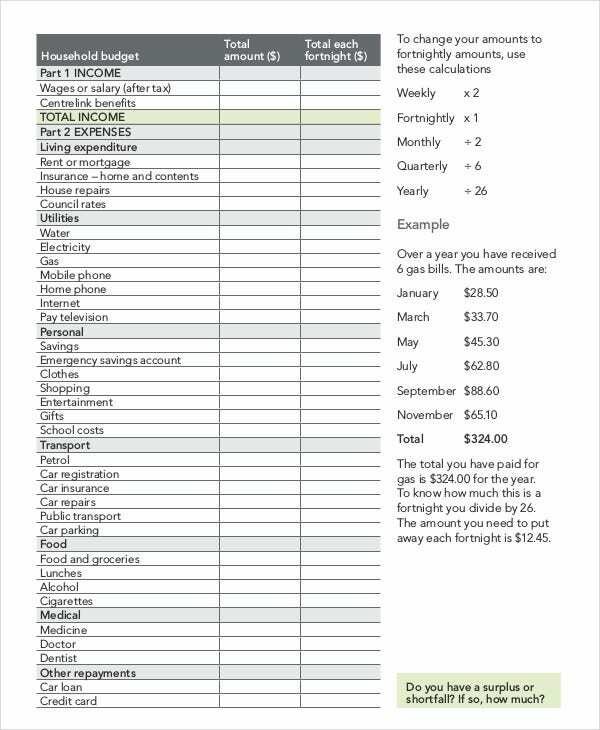 You can also see Monthly Budget Templates. 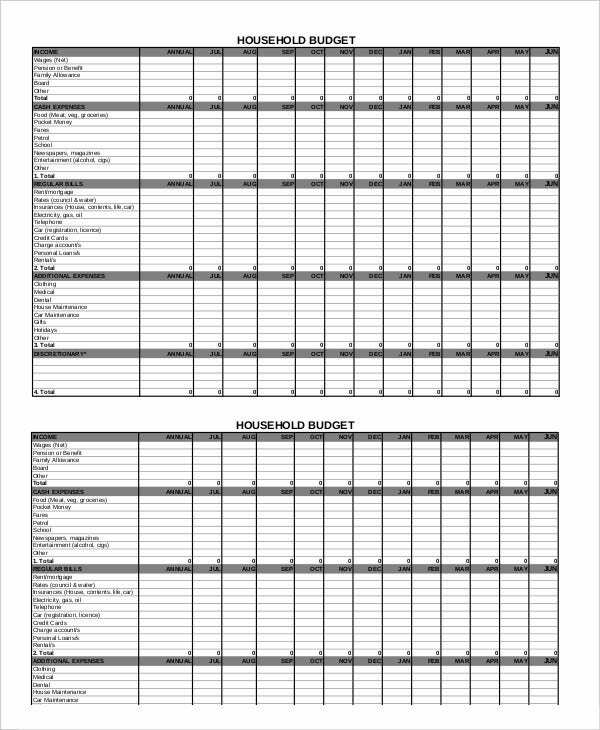 The monthly household budget planner template is available in Excel format. The user can fill in details of his income, expenditure, and other relevant information on this template. The template is easily editable. > What Are The Benefits of The Household Budget Templates? The household budget templates are beneficial for a variety of reasons. First and foremost, these templates are absolutely free of cost. The user need not spend money on downloading paid templates from the Internet. Another reason these templates are beneficial is because they are easy to edit as per the requirements and specifications of the user. You can also see School Budget Templates. The household budget templates are also useful because of the convenient and universal formats that they are available in. The user can access these templates from almost all types of operating systems including their smartphones. Thus, the budget templates are extremely beneficial for their users. So, if you’re looking to start maintaining a monthly, weekly or annual household budget, you have come to the right place. Just select a template from the above-mentioned list that best fits your requirements, download it, edit it and fill in your expenses and income. 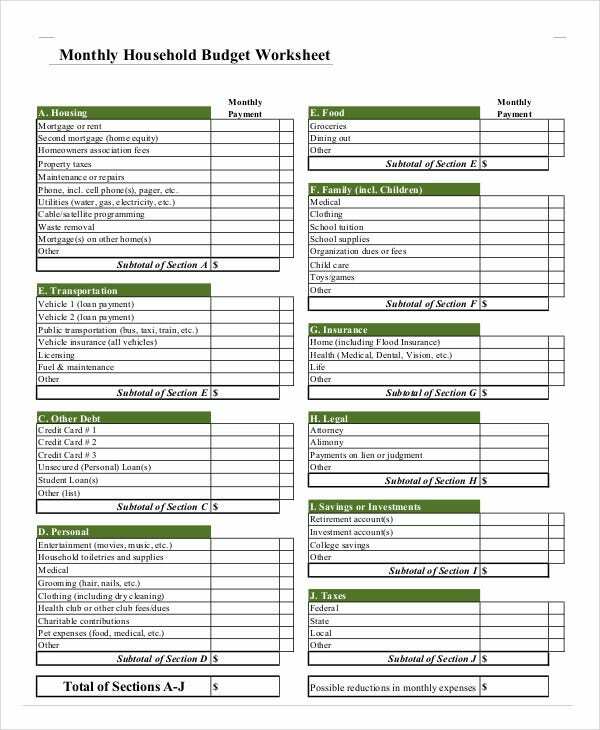 You will find these templates extremely handy and useful. 8+ Financial Budget Templates – Sample, Example, Format Download!